This 3 month workout guide is designed for older guys that want to recapture the energy and motivation of their youth. In your mind you still feel like your 18-year-old self. You feel strong, assertive, and ready to hit the gym with full-on aggression. You’ve still got a passion for life, and at the end of the day, you care about looking good. The only problem is, your body just isn’t willing to let you train like you used to. The aches and pains you get after a workout are a constant reminder that you need to either ease off, or switch your training around. Well, you’ll be pleased to know that with the right exercise program and a few changes to your lifestyle, you’ll not only feel like a strong younger man again – you’ll also look like a million dollars. In this guide, we tell you everything you need to know about training for the older man. From the choice of exercises, along with how to order your program for maximal gains. Whatever it is you need to feel like your old self again, we’ve got you covered. The goal of this 12-week workout plan is to take you from your current state of fitness to a stronger, leaner, and more athletic you. We’re going to dispel the myth that older guys can’t reclaim the shape they once had. Instead, we’ll tell you exactly how to achieve a head-turning physique, because it can be done! One of the key regulators of muscle mass, strength, virility, and stamina during your late teens and twenties is testosterone. As a naturally-occurring anabolic-androgen, this steroid hormone promotes everything that makes you a masculine man – from your square jaw and your broad shoulders, to your thick muscles and defined waist. Testosterone controls performance, health, and personality. Among many other benefits. However, as you reach the age of thirty, your testosterone production begins to taper off. Unless you’re regularly training hard in the gym, watching what you eat, and leading an all-round healthy lifestyle. If not, then chances are the strong and muscular ‘you’ will slowly fade away. With your lower testosterone levels, and lack of physical activity, your body quickly begins to change. What actually happens when you lose testosterone? One of the biggest health concerns for older guys is a loss of muscle – a condition that can lead to a whole host of health problems. men can lose as much as 13% of their muscle. That goes up to 50% by the age of 80. Referred to as sarcopenia, a lack of physical activity coupled with a drop in anabolic hormones results in a loss of muscle mass in your arms, legs, shoulders and chest. The longer-term implication for muscle loss is that your metabolic rate begins to slow down, leading to the accumulation of fat. The loss of testosterone causes hormonal changes that lead to android fat accumulation – that means belly fat to you and me. In turn, the loss of muscle and elevated fat levels can lead to anabolic resistance and an increased risk of diseases such as diabetes, high blood pressure and heart disease. Before you know it you’re skinny, fat and ill.
That’s where weightlifting comes in. Well-planned strength training hits the issues of muscle loss, health risk and belly fat right at the root. By building muscle you’ll avoid sarcopenia and help to keep your metabolic rate firing on all cylinders. 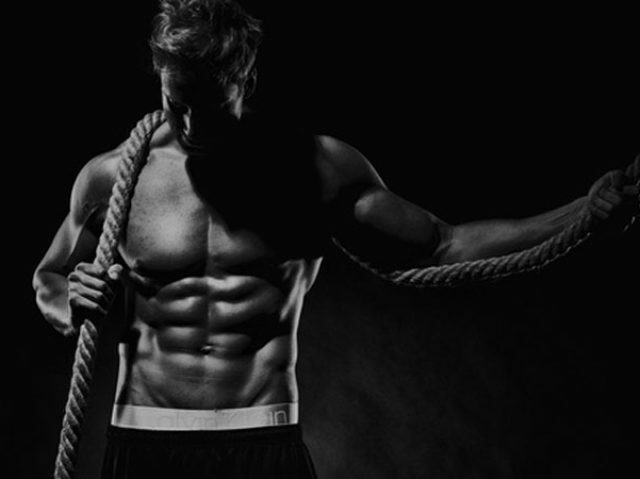 Belly fat won’t stand a chance as you ramp up your daily energy expenditure and carve out a physique that is both athletic and aesthetic equal measure. You’ll be healthier, fitter and look better too. Weightlifting can replace the need for cardio– you don’t need to do endless hours and hours of cardio to burn fat. By cleverly ordering your workouts, strength training will elevate your heart rate and calorie burn; but add muscle at the same time. Muscle has an energy cost and burns calories – when you build muscle, your body has to divert energy to it, to maintain its size, strength and mass. This results in a higher daily calorie burn. 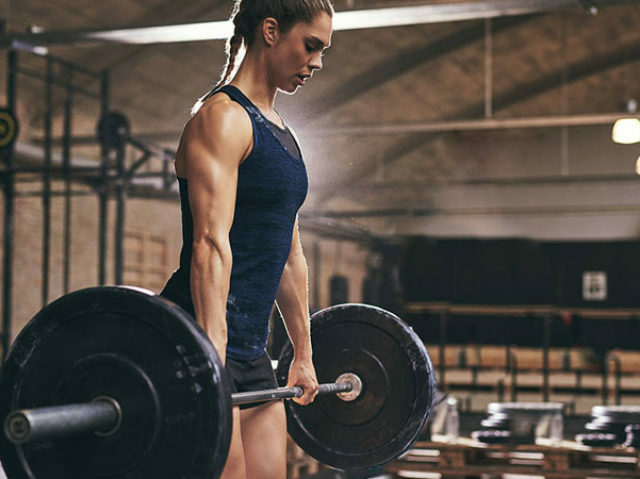 Lifting weights boosts your health – not only will you avoid sarcopenia and belly fat, you’ll drastically reduce the risk of long-term metabolic and vascular illness. Why is the programme 12 weeks long? Have you ever started a fitness program only to lose interest after the first few days? If you have then you might not have given your body long enough to adapt and improve. Patience is key when it comes to body composition. 12 weeks is the perfect amount of time to see real gains and real changes to your body. Yes you might notice that your arms feel tighter or your waist feels smaller in a couple of weeks, but for a real head-turning transformation to your physique you’ve got to give it a little longer. In as little as 90 days you’ll completely transform your strength, muscle mass, and confidence. You’ll not only build muscular arms and a broader chest, but you’ll also be giving yourself long enough to drop a significant amount of body fat too. Outline – how does this older guy’s weight lifting program work? 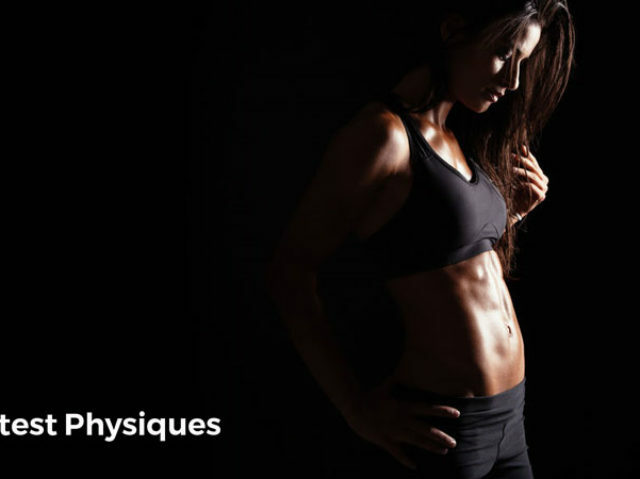 This program is structured to give you the very best result within the 12-week time frame. Unlike other programs, we appreciate two things – firstly that you’re a busy man and don’t have time to complete 2 hour workouts, 6 days a week. Secondly, we know that the gym gets busy, and you can’t always plan a complex routine. Even more so if you’re rushing from one exercise to the next, in an overly-elaborate circuit session. Why is this? simply because you just don’t get chance in the real world. There’s always that one guy that’ll take up the bar, or machine you need, or walk off with your dumbbells the second your back is turned. Basic stuff that works. There’s no need for us to grab your attention with fantastically creative, and often weird exercise routines when the simple stuff works best. You want results? You’ll get them. The sessions are around 45-60 minutes long. They’re short, sharp, and keep you focused on results. They’re even shorter if you maximize productivity and reduce your rest times. Over the course of the 12 weeks, you’ll only be in the gym 3 times per week. That’s long enough to cause some real differences to your body, but also, long enough to allow recovery. As an older guy, it’s important to find this balance. We’re definitely not wrapping you up in cotton wool for this program – you might be more mature than your younger self… but there’s no need to ease off too much. In weeks 1-4 you’ll be targeting every major muscle group. There’s no room for an old-school ‘split’ routine because that approach doesn’t work well here. As science has progressed we’ve realized that unless you’re hitting the gym most days of the week, whole-body training is your best option. Weeks 5-8 sees you follow a similar whole-body approach, but with some changes in exercise order, that see you challenging your cardio as much as your muscles. It’s a big shift in intensity, but you’ll see some rewarding changes. Lastly, weeks 9-12 see the biggest ‘change up’ in your programming. That’s because we’re hitting you hard with some easy-to-perform supersets. They’re easy to set up, don’t require much equipment, and can be performed in even the busiest of gyms. Supersets give your body a great cardio fat burning stimulus, but also help you build muscle too. All exercises should use a weight that tires you within 12-15 reps but doesn’t achieve muscle failure. Complete 3 sets of each exercise and aim to rest around 2-3 minutes between exercises. All exercises should use a weight that tires you within 8-12 reps. Complete 3 sets of each exercise and aim to rest around 2-3 minutes between exercises. This program is built around supersets. Complete A1 and A2 back to back with no rest before giving yourself a 2-3 minute rest period. Once you’ve completed ll 3 sets you move onto B1 and B2 and do the same.